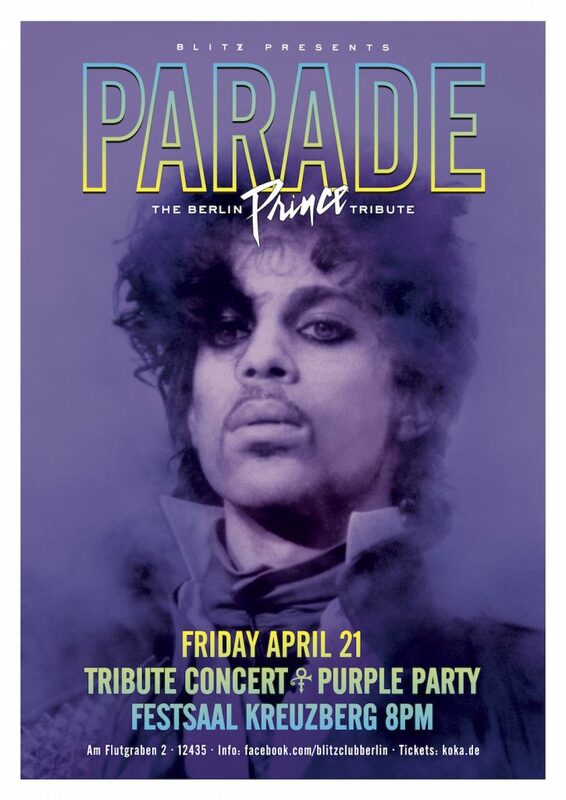 Snax is honored to perform at the special Prince tribute concert happening this Friday, April 21st in Berlin at Festsaal Kreuzberg: Parade – The Prince Tribute – A Charity Event By Blitz. On the anniversary of Prince’s untimely passing, join Snax and many other great acts as they celebrate the life and work of this one of a kind artist and perform favorites from his enormous catalogue. Then stick around to dance at the ‘purple party’ with a line up of fabulous DJ’s. All proceeds benefit GSBTB – Open Music School which support the integration of refugees and less-privileged newcomers into Berlin’s music scene. Please join us to honour one of the greats or our time for a worthy cause. It’s Gonna Be Beautiful Night!